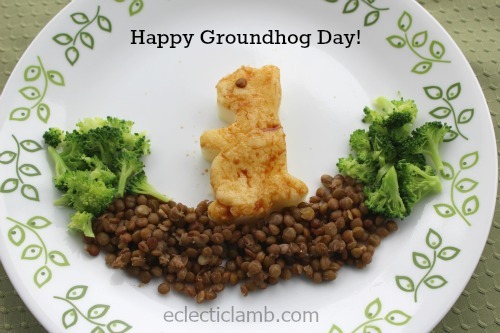 In honor of Groundhog Day I made this simple food art on a plate. Note: My mashed potatoes were somewhat firm and I cooled them before cutting with a cookie cutter. I then heated in a microwave before serving. This entry was posted in Bento / Cute Food, Food and tagged animal, groundhog day, holiday. Bookmark the permalink. Cute! And a perfect plate to display it on! Thanks! He did not see his shadow so he predicted an early spring. Thank you for replying keep up your creativity.